On our way home, we stopped off to look at a big ol’ wall in a farmer’s field (the kind of thing you do in these parts). We found a nice big chunk, and once we’d looked at it and jumped up and down on top of it and stuff – not exactly what the Romans had in mind but there we are – we spotted a sign to Chesters Walled Garden. This was something of a coincidence as I’d just been reading an article on herb gardens by one Susie White, who, the magazine mentioned, ran a herb garden called… Chesters. We had to pop inside. Or rather, I had to, with small children and resigned hubby in tow. They soon changed their tune: we were all instantly transfixed by loveliness. I have never seen so many flowers packed into such a small space. It was a riot, a symphony, a heavenly chorus of colour: who says you can’t make a garden look good in late summer? Just feast your eyes on this lot. Of course, pictures don’t tell the whole story: here, the air you breathe is saturated with perfume, and your ears are buzzing with drunken bees – I have never, never seen so many bumblebees in one garden before. The tranquillity of the place settles over you like a favourite quilt, and you can lose yourself in just wandering and looking. Now for the sting in the tail: this garden will no longer exist after this year. It turns out Susie is only leasing the land, and the landlords have pulled the plug. It may have been built in the 18th century, and the current garden has taken over 20 years to create: but it has just a few months left, and has to close by next May. Susie is now looking for another garden in the area to house her national collection of thyme and the many thousands of plants to which she has devoted the last couple of decades. 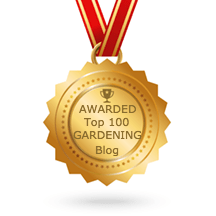 To find out what happens next, you can visit her blog or the garden’s website: such a gardener will undoubtedly make another paradise every bit as beautiful, but my heart goes out to her and I wish her the very, very best of luck. Heart-breaking. What a delicious garden. How lucky you were to see it in such glory. I can't believe what I've just read. What an absolute tragedy – and such fantastic planting. I've worked for decades, trying to get borders to look half way that good – oops, crap English, sorry! – and not succeeded. Can anything be done?The one joy about northern gardens is that they are less susceptible to what I call the 'burn factor' which strikes in midsummer. My big daisies, for instance are all done for, but up there, they are still looking brilliant even though the perennial sunflowers and crocosmias are now in full fig.Thanks for such a great tour. This is sad. Thanks for sharing this beautiful garden with us. What a jewel… so glad to have found your blog over at May Dreams… I can so relate to Susie's story only I was lucky and was offered and able to buy the land I had loved and transformed. I will go to her blog after this. What a gorgeous garden she has created… may something unfold that will make what seems a nightmare into a dream come true. Plants love to be divided… but what a huge job she has ahead of her. I look forward to exploring your blog too.